I have traveled south til I can go no further – at least not without getting very wet! 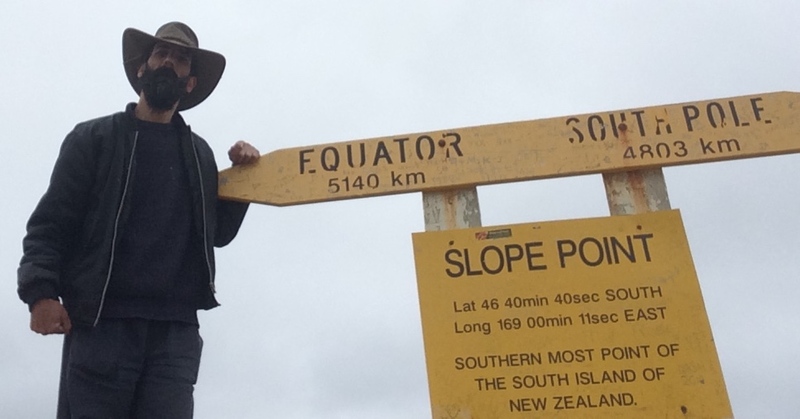 I have attached a photo of myself at Slope Point – the southern most point of mainland New Zealand. It was a bit of a hike to get there as well. But at least it was over a couple of paddocks, so it was an easy walk. (If the photo appears to be at a strange angle, I had my iPad on the ground, propped up by my backpack to take the shot.) So now I start the long journey back to Christchurch to fly out on Friday. But I’ll be going via Mt. Cook. I returned towards Haaste from Wanaka, and the day did not start well. I was on the foreshore at Wanaka in the van on compacted gravel, and saw a good spot to take a photo. Except the gravel there wasn’t as compacted. In actual fact, it was a gravel beach. Fortunately, one of the locals was happier enough to drag me out – on the third attempt. Note to self: this is not a Delica. spend the night at Cameron Flat. That valley would be spectacular to see in the first and last light of the day. After further delays due to the road still being closed, it was on to Queenstown. 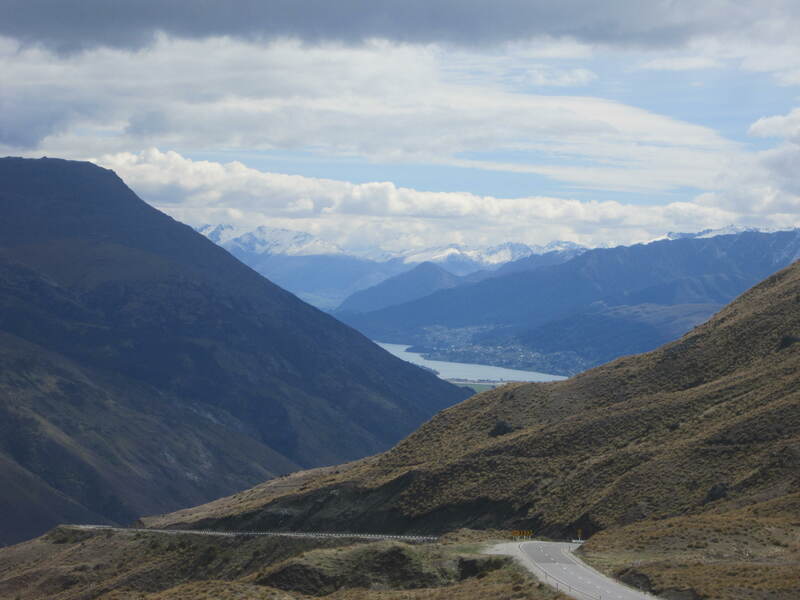 I took a less traversed route from Wanaka that climbed over a range with the road summit at 1081m above sea level. I could just about eyeball the passengers on the planes coming in to land at Queenstown airport. If there was ever a time I wanted my trike, it was then. The road down to the other side was full of sharp elbows and hairpin bends. And I was in one of the worst handling vehicles. Oh the injustice of it all!!! I still had fun. Queenstown was a buzz with activity, and there was nothing to encourage me to hang around. I camped just out of town and met a couple with the same van. So I took the opportunity to compare notes. Their van wasn’t in much better condition as mine. I think I won ‘my camper rules’ in that department. Although, mine had a working table – what a bonus! I felt much better about my van, and seeing they had come to the same conclusions as me – yes, it’s a bucket of rusty bolts, but it’s doing the job, so enjoy. It’s just how it is with this rental company. The next day, I was even happier when I got my music going. At least I can now add some variety to the monotonous noise of the world’s angriest sewing machine (more widely known as the Toyota Diesel engine). 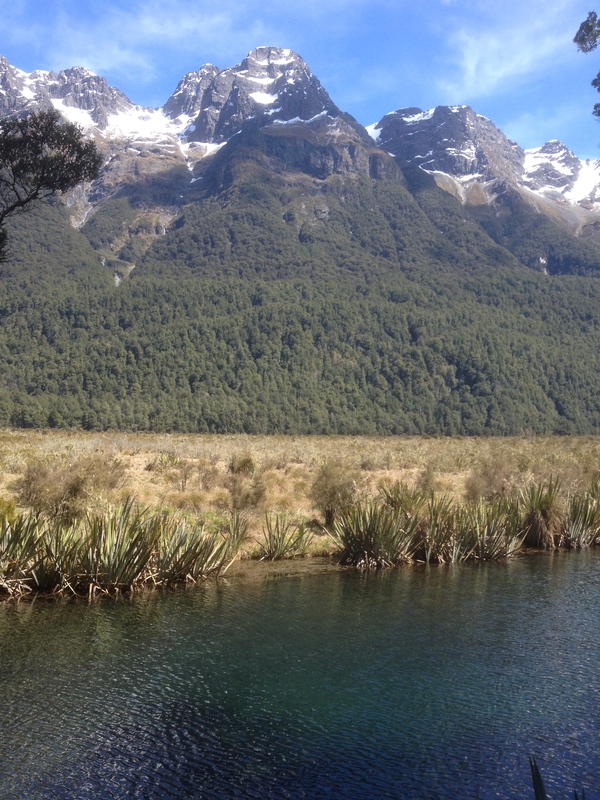 From Queenstown, it was on to Milford Sound. What a mysterious corner of the world that is! 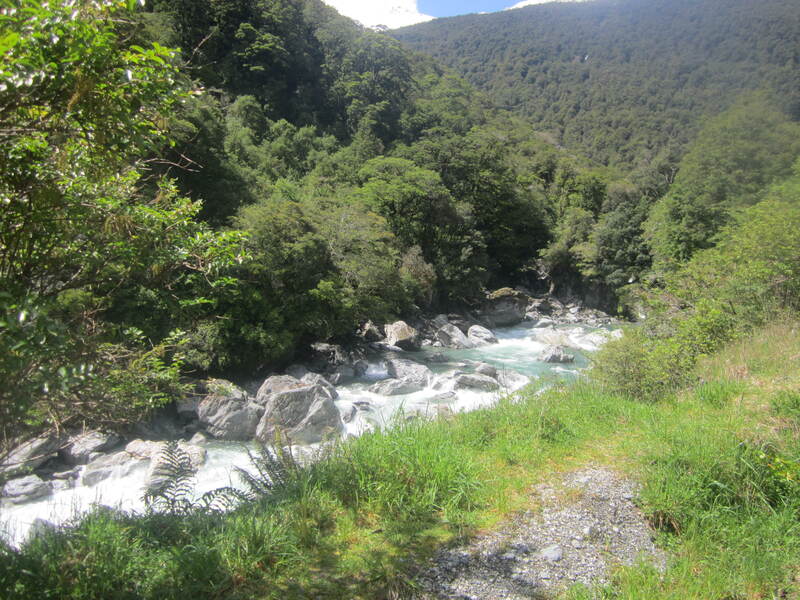 Again, New Zealand really turned on the sunshine, and I enjoyed a full day of bushwalking and photography. I didn’t get to cover the whole area that day, and finally arrived in Milford Sound the next day when New Zealand well and truly had turned off the sunshine, and the snow capped mountains were once again enveloped in cloud and rain. I was very disappointed. I could have pushed on the day before, but I like to call it a day when I’m feeling tired, and make camp for the night. I tend to enjoy things more when I’m not tired. I didn’t envisage the weather hampering my enjoyment. Even still, I was able to appreciate just how unique this place is. I don’t imagine they’d be too many places in the world where you can stand on the edge of the sea, and be immediately surrounded by snow capped mountains in spring. 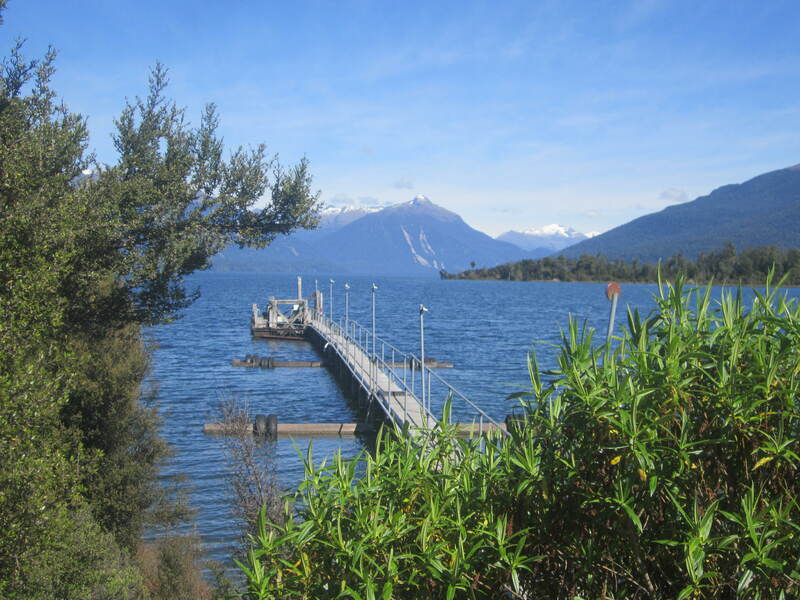 By the time I had driven back to Te Anua for my cruise, the sun was back out again in full force. 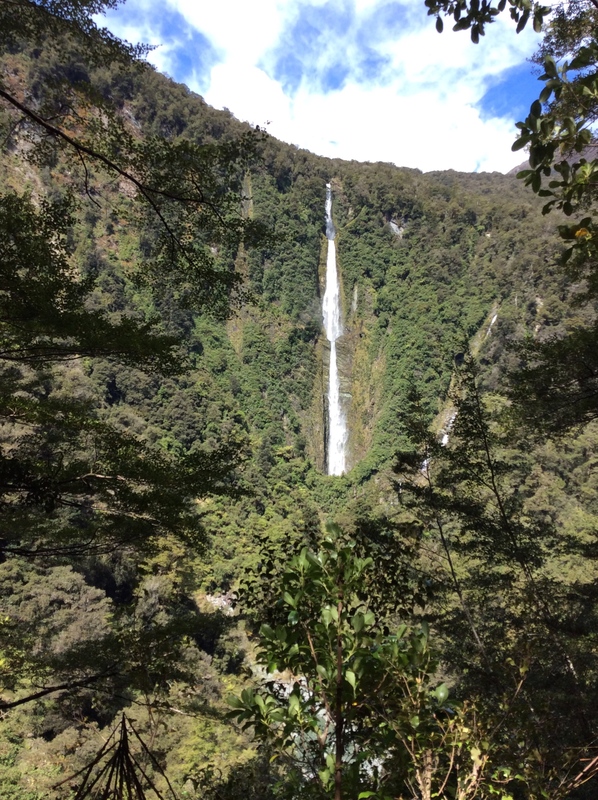 I could only wonder what it was like back at Milford Sound. At 2 hours drive up the road, I wasn’t that interested in finding out. The cruise took me to a glow worm cave on the other side of the lake. This involved a 200m walk into the cave on a raised platforms by guided tour. Walking in I managed to bang my head on some very low overhangs a couple of times. Not recommended. And if anyone is wondering, no, it didn’t knock any sense into me. The cave had a river rushing through it at a rate of 300l/min. It also had a waterfall! The tour went another 50m into the cave by boat. From what I could see in the low light, the boat looked like a big aluminium bath tub. Our guide stood on the side, and dragged the boat along by chains bolted to the cave walls. Not for the faint hearted. It was pitch black. The only light came from the glow worms themselves. It was an awesome experience. 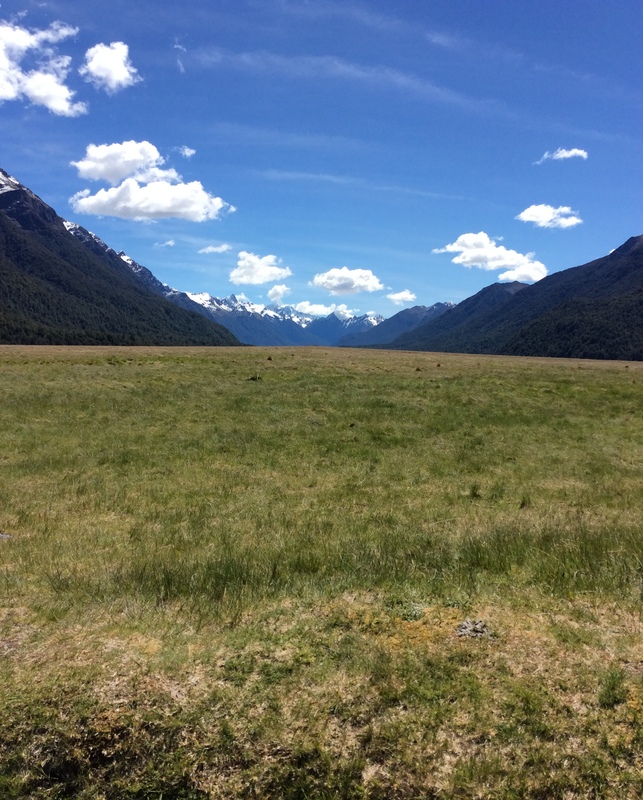 From Te Anua, I’ve spent a few days rounding the south coast, which I must say is a bit boring after Milford Sound and Mount Aspiring National Park. But it was still very scenic. Today ended in a bit of frustration when I tried to get into McLean Falls. It was a very well formed track, but 700m in I came to some steps with no handrail, and I didn’t feel steady enough to take them on. So, disappointed, I turned back. 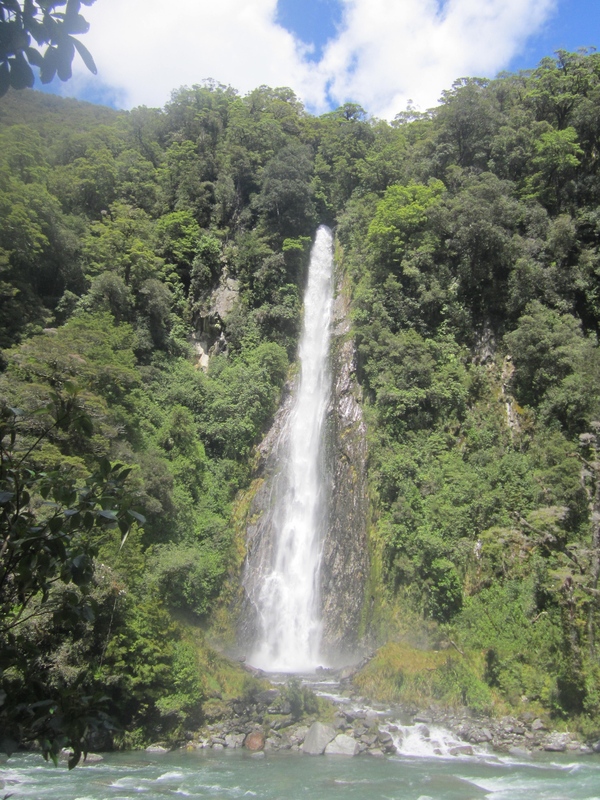 I did get to see some very nice rainforest though. I’m looking forward to returning to the mountains, and hopefully, I can get up close to a glacier on a guided tour. This really has been a fantastic trip.